Following the success of the highly acclaimed book Van Gogh’s Untold Journey, author William J. Havlicek and David A. Glen now tell Vincent’s complete story embracing the one person hitherto—and to a large extent—ignored: Johanna van Gogh-Bonger, his sister-in-law. For without Johanna, little of the inimitable Vincent would ever have been known. Vincent’s legacy was, furthermore, solidified by the prestigious patronage of Helene Kröller-Müller, the wife of a wealthy industrialist, who was to accumulate the second-largest collection of Van Gogh drawings and paintings, now displayed in the renowned Kröller-Müller Museum in Otterlo, the Netherlands. This well-researched, beautifully illustrated book also gives Theo, Vincent’s devoted brother, suitable recognition for the part he played in ensuring Van Gogh’s bequest. After the deaths of Vincent and Theo, Johanna became keeper and advocate of Vincent’s immense collection of paintings, sketches, and illustrations. 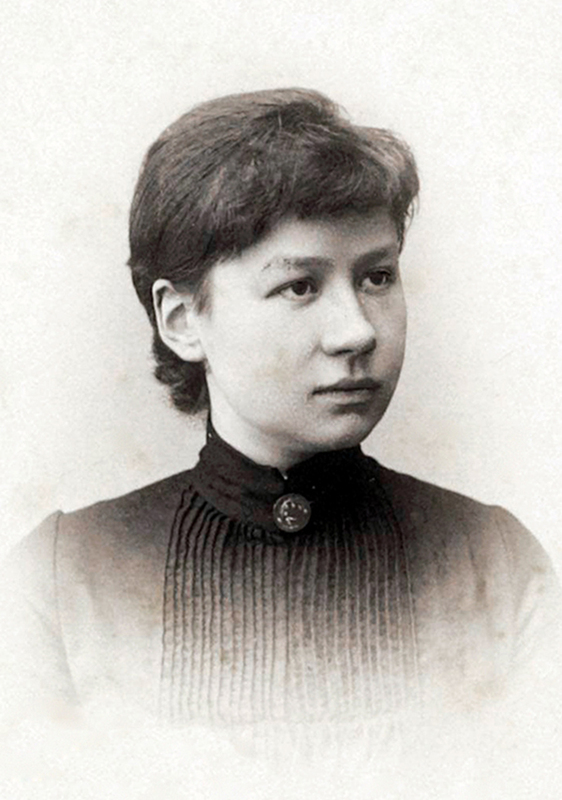 She was to preserve and chronicle over 520 hand-written letters (eventually more than 900 would come to light) without which we would never have come to understand the devoted relationship and interdependency Vincent had with his brother Theo, nor the remarkable beneficence that lay at the very core of the Van Gogh family as a whole. Most importantly, we would never have come to know the uncommon genius that was Vincent van Gogh. nephew of the famous artist, and also named Vincent Willem Van Gogh. The letters, publicly exhibited for the first time at the Van Gogh Museum in Amsterdam in 2009, were also to prove crucial in dispelling many of the apocryphal stories that were later to surround Vincent’s life—stories that crassly portrayed him as some madman whose art betrayed a fractured and frenzied soul rather than the highly intelligent man he in fact was. Johanna had realized that Vincent’s letters to Theo were crucial to our understanding of Van Gogh yet she did not want their powerful message to eclipse his art, withholding them from public scrutiny for nearly twenty-four years until his reputation as an artist was safely established. Johanna’s astute care and dedication to preserving the very essence of Van Gogh were manifested in a way of which he would have approved: through action. Havlicek and Glen have carefully researched new letters and documents that accurately portray Johanna as a woman whose indomitable and tenacious spirit met with great antipathy in a time when women were not welcome in the world of art dealing. Yet her steadfast determination and stamina were to attract the attention of major art dealers and collectors. And by her death in 1925, Johanna had secured for posterity Vincent van Gogh’s reputation as an artistic genius. Moreover, his letters were to finally lay to rest all doubts about the workings of his mind, and were to reveal an astonishing literary ability that had previously gone unnoticed. This fascinating story also depicts in rich detail the various characters with whom Johanna was involved. Not the least of these was of course her husband Theo. The two, despite their brief time together, were very much in love. And Vincent’s constant presence in their lives—and his financial dependency on Theo—might have nettled a lesser person. Yet Johanna had a fondness for Vincent that is evident in her own letters and diary, as did he for her. His genius, in her eyes, was never to diminish. Other personalities are presented including the renowned art dealers Cassirer and Bremmer who were to orchestrate the sale of a large number of Van Gogh paintings and drawings to the collector Helene Kröller-Müller. These now comprise the second-largest collection of Van Gogh paintings in existence at the Kröller-Müller Museum in Otterlo, The Netherlands. And the story of Helene Kröller-Müller’s patronage of Vincent’s art is an important new feature of Havlicek and Glen’s story. 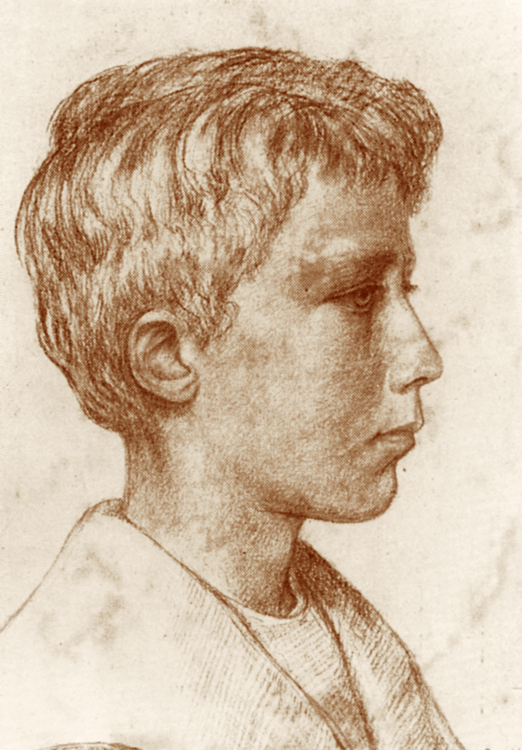 Vincent Willem van Gogh, Johanna’s son and nephew of the celebrated artist. Johanna was not only left with the task of promoting the inimitable Vincent and his work; she was also left with a baby boy, also named Vincent Willem van Gogh, later known as “The Engineer”. It was he who was to forge the foundation that today administers, together with the Dutch state, the considerable legacy of paintings, drawings, and letters that comprise the Van Gogh Collection in the museum in Amsterdam. But in those early days, life for Johanna wasn’t easy and, notwithstanding her dedication to preserving and promoting Vincent’s work, she first and foremost wanted to ensure the health and welfare of her son. This caused her to move from the hustle, bustle, and pollution of Paris to the town of Bussum, not far from Amsterdam. It was there that she became acquainted with a literary group known as the tachtigers who were to be instrumental, through their advice and connections, in helping Johanna promote Vincent’s work. We have had the privilege throughout history of learning about the lives of many extraordinary women and their accomplishments. Johanna provides us with yet another, only her story, that of the caring and steadfast Theo, and the remarkable patronage of Helene Kroller-Muller, are inextricably tied to the very existence of one of history’s artistic icons in the person of Vincent van Gogh. or together with the 4-book anthology.